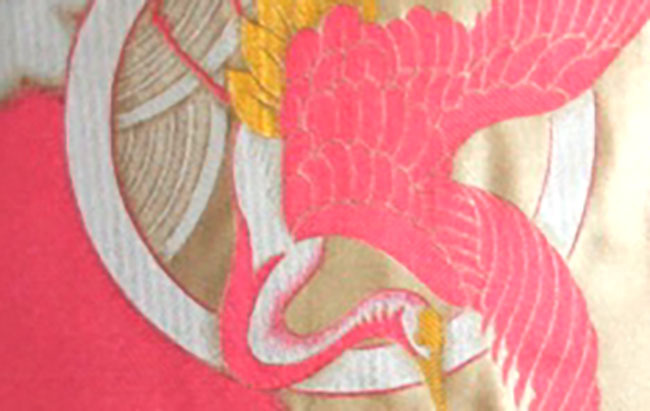 Kimoyes item: 18392 - Pretty pink kimono fabric with woven and dyed designs. Pretty pink kimono fabric with woven and dyed designs. This quality synthetic fabric is shiny and drapes quite well. It is not reversible.